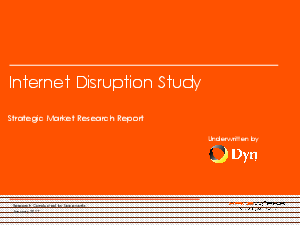 Nearly all (89%) organizations report experiencing an internet disruption in the past year. Over a third of them said it was "crippling" to their business. With a diversified network and the volatility of the internet on the rise, it’s time to understand where your infrastructure is most at risk and how can you build for resilience. This 2017 Spiceworks Research Report gets to the heart of the matter.